On release of ME:A I tried whichever early version of 3.0.x was out at the time and the depth buffer was sort of recognised but was really funky and more or less unusable, so I rolled back to 2.0.3, where it works as intended. Going back to the game after some time I thought to give the latest version a go, but the depth buffer doesn't work at all with 3.1.2, funky or otherwise. I saw a post a while back where someone had been using 3.x with the depth buffer but there were no details. Has anyone here managed to conjure some magic to make it work, and if so would they mind passing on the trick they used? Many thanks. Last Edit: 1 year 3 weeks ago by thalixte. I haven't tried it with 3.1.2 yet, but it works fine with 3.0.8 and 3.1.0. Maybe your preprocessor defines aren't setup correctly. I have it set up like that already (I used the depth buffer reversed in 2.0.3 with no issues). Clearing numbers first, second and third all work the same - no other combination works at all. However, it flashes like crazy with any depth effect enabled - a constant rhythmic flashing pulsing of the whole screen, and mxao looks dreadful, with sharp, blocky edges and not at all blended into the image. This is the same thing that happened when I tried to use 3.0.6 back when the game released (and why I rolled back to 2.0.3, which doesn't flash). Turning off various in-game graphics options (like temporal aa or hbao) makes no difference. It's got to be something with my setup, because I don't see anyone else mentioning these problems and looking on nexus all the reshade 3.x presets are using dof, so they've got it working (although looking at their dxgi.ini files none of them have the buffer reversed, which seems odd). I'm taking a look through google for the flashing issue, I'm just seeing mention of TAA, which makes no difference to it in my case. Any other ideas? No amount of editing the values makes it any better (I'm not new to working with mxao, this is the only game I've encountered this in). Yes, reshade remove depth buffer if an online activity is detected, forgot to mention it. 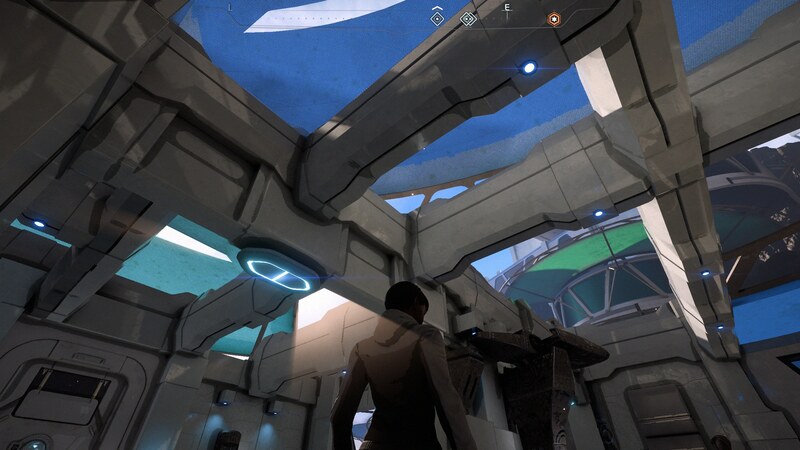 So, it should work as well with the 3.1.2 Reshade relase in offline mode (works well with my version of MEA), as well as with the version i provided to you. Thank you, yeah I'll see if he has any ideas. Might I ask, your edited 3.1.1 dll you linked to, I'm presuming you compiled the binary yourself from the source? I've never done that before, but if I needed to achieve this same sort of thing in a future version is there a set of instructions how to do it somewhere?